Indoor Air Quality for Sustainable Buildings -- BuildingEcology.com for useful and reliable feature articles, for the latest news and events listings. Check out our links to the best information on Indoor Air Quality and Sustainable Buildings on the web. Our "events" page links you to IAQ and to Sustainability meetings and conferences all over the world.We invite your suggestions and comments on our resources related to indoor environmental quality, architecture, healthy buildings, and the built environment's impacts on the sustainability of human settlements. BuildingEcology.com intends to be the best source on the web for reliable, up-to-date information for all concerned about Indoor Air Quality and Sustainable Buildings. There are many pitfalls in these new and rapidly changing fields. Simple answers can often be as dangerous as they are easy. We will tackle the tough problems and bring you the most comprehensive and useful information available. We will translate the latest scientific information and professional practices into the most accurate and useful information for serious building design professionals, consultants, building owners, manufacturers, policy-makers, and anyone else who won’t take oversimplified, easy answers to the tough questions. You can find a short primer on connections in the indoor environment here. A shorter, purpose-edited version is available here. You will find example of how air, surfaces, chemicals, and indoor environmental characteristics interact to create the conditions that affect our health, comfort, and well being. Among the important interactions are those of chemicals on surfaces, especially biocides, and the microbes (bacteria, fungi, and viruses) found in the indoor environment and of greatest concern for human health. Biocides (antimicrobials, pesticides, etc.) are chemicals, often applied to surfaces to kill bacteria, viruses and fungi. If we sample a surface for microbes without any information on the chemicals applied there, we know much less about the indoor microbiome than we need to move toward the creation of healthful indoor environments. Understanding the indoor environment and how it affects our health requires bridging across disciplines and connecting the knowledge each can bring. There is probably no better evidence of the inter-connectedness of the large variety of factors in the built environment that can affect occupants' health and the integrity of the building itself than the relationships between the built environment and the microbes that occupy buildings. This is the ultimate case of "building ecology" - the dynamic inter-dependence of the building, its occupant and the larger environment. Learn more about these links in the report and participate in the webinar presenting the report from the National Academy of Science/Institute of Medicine report on the "Microbiome of the Built Environment." You can download a free copy of the report from here. As a member of the study committee, I was assigned "water" as a topic and learned that there are some very wicked problems to reduce illnesses that are caused by organisms that are commonly found in public water supplies and/or grow in "premise plumbing", the water heating and distribution system in buildings of all types. Personal view: Lamentably, there is no recommendation for research on how to assist individuals of low income, especially renters, when their homes are damaged by flood waters. Hopefully, the response to the current flooding in Houston will result in a response that addresses the needs of those who need help most and can least afford it. If you have some suggestions, please send me an email and I will forward it to the studies several sponsors. 1) There is not an clear call for research to assist in interpreting results from studies or investigations of the microbiome of a building. 2) While next generation sequencing is cheaper and faster than culture-dependent methods, the linkage between results and their meaning is not currently addressed effectively. 3) Probiotics are being marketed without sufficient information on their relationships to the community of microbes that live in and on us humans. Keynote lectures form the background for these freely accessible papers in the February 2016 issue of the journal Indoor Air. This important paper is now downloadable from this web site. Paper submitted for presentation at the 9th Windsor Conference on Thermal Comfort: "Making Comfort Relevant"
A valuable resource for those trying to interpret results from indoor microbiome studies. Urban living in built environments, combined with the use of processed water and food, may not provide the microbial stimulation necessary for a balanced development of immune function. Many chronic inflammatory disorders, including allergic, autoimmune, metabolic, and even some behavioural disorders, are linked to alteration in the human commensal microbiota. Sedentary lifestyle is associated with reduced exposure to a broad spectrum of environmental micro-organisms and surplus energy balance, both risk factors of chronic inflammatory disorders. According to the Biodiversity Hypothesis, an environment with iverse macrobiota and microbiota modifi es and enriches the human microbiota, which in turn is crucial in the development and maintenance of appropriate immune function. These issues were discussed in the symposium ‘ Chronic Inflammation, Lifestyle and Environment ’ , held in Helsinki, 20 – 22 August 2014, under the sponsorship of the Yrjö Jahnsson Foundation. This paper briefl y outlines the recent fi ndings in the context of the environment, lifestyle, and health; discusses the forces that undermine immune tolerance in urban environments; and highlights the possibilities to restore broken immune tolerance among urban dwellers, summarizing the main messages in four statements and calling for actions to combat major public health threats. Biodiversity, the immune system, and health are interconnected. Indigenous microbiota is a central player in this interaction. All that we eat, drink, touch, and breathe is reflected in our indigenous microbiota. Authors: Leena von Hertzen, Bruce Beutler, John Bienenstock, Martin Blaser, Patrice D. Cani, Johan Eriksson, Martti Färkkilä, Tari Haahtela, Ilkka Hanski, Maria C. Jenmalm, Juha Kere, Mikael Knip, Kimmo Kontula, Markku Koskenvuo, Charlotte Ling, Thomas Mandrup-Poulsen, Erika von Mutius, Mika J. Mäkelä, Tiina Paunio, Göran Pershagen, Harald Renz, Graham Rook, Maria Saarela, Outi Vaarala, Marc Veldhoen, and Willem M. de Vos. Extremely important: newly published article by J David Miller and David R. McMullin, “Fungal secondary metabolites as harmful indoor air contaminants: 10 years on.” Appl Microbiol Biotechnol, DOI 10.1007/s00253-014-6178-5. For me personally, the paper makes a strong case for the link between airborne chemicals and their relationship to moldy buildings and human health. Increases the already strong evidence that damp buildings are risky. To read more about and download the document, click here. Check out our new feature full of resources for studying the indoor microbiome here. We will be adding resources to help researchers and professionals who want to study the indoor microbiome with an emphasis on culture-independent methods. We will share the results of our work during the past three years with funding from the Alfred P. Sloan Foundation through the microBEnet project at the University of California. Our site will supplement (and complement) the microbe.net web site with information intended primarily for those who want to understand the indoor microbiome as part of the building as an ecosystem. Nothing exemplifies the building as an ecosystem or the usefulness of the construct "building ecology" better than the complex dynamics of the built environment and the indoor microbiome. We hope this additional resource will assist those eager to advance our understanding of the indoor microbiome as a "normal" and important (essential?) part of the indoor environment. Please send us your comments and suggestions, references, and other resources you would like us to share with other visitors to our site. If you haven't signed up yet for our eUpdates, a newsletter that will let you know when new resources are added, you can do so at the link at the top of the right hand column of this page. More than 360 articles that contain information on the indoor microbiome and the indoor environmental conditions reported by the authors. Full abstracts are included. The database is in MS Access format and simple or complex queries can be made using the database in Access. We are looking for ways to make it more widely available. It was supported by the Alfred P. Sloan Foundation's grant to UC Davis' microBEnet project, Jonathan Eisen PI. We also have prepared a How-to file for those not familiar with constructing searches in databases. It is also downloadable. You can downloaded it from the article entitled "How to use the Indoor Environment-Indoor microbiome database." A video from NPR about the human microbiome that is worth taking a look at. Quick tip: Why do people living in damp buildings get sick? Is it the mold, the bacteria, or the combination? The scientific evidence for a connection to moisture is the strongest. There is some evidence for certain species of mold and bacteria but it is generally far weaker for mold and bacteria. An exception, of course, is Legionella p, the cause of Legionnaire's Disease, but exposure to Legionella p. may not be dominated by bacteria found in the air. There is increasing evidence that molds and bacteria are involved together, not as separate "causal factors." Scientific studies that look for associations between only mold or only bacteria may not find strong associations. Moisture is clearly relevant to the microbial exposures causing the reported health effects. Quick tip: What is the biggest mistake have we made over the past 30-40 years that we should not repeat if possible? I think it may be the separation of ASHRAE Standard 62 (Ventilation and IAQ) and Standard 55 (thermal comfort). Both IAQ and thermal comfort are affected by and ought to be addressed by the same building design and operational solutions. 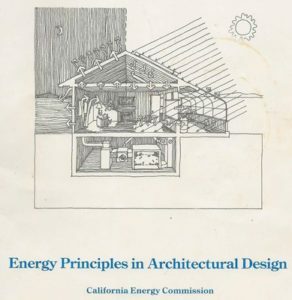 ASHRAE Guideline 10-2011 tries to get at these connections and interactions for the first time anywhere, well, except for papers I wrote a long time ago. ASHRAE Guideline 10, now available for purchase on the Publications page of the ASHRAE web site, brings together a lot of what we know about the interactions and also discusses interactions with light and noise. There is far less known than we would like, but far more known than we tend to reflect in our standards, codes, and practices. If you know of some other connections, please send us an email. We will be grateful for your help. The American Society of Heating, Refrigerating and Air Conditioning Engineers (ASHRAE) is now making the IAQ design guide and all of its reference materials available to the public at no cost through its web site. The Indoor Air Quality Guide: Best Practices for Design, Construction and Commissioning is designed for architects, design engineers, contractors, commissioning agents, and all other professionals concerned with indoor air quality. Everywhere we turn there are microbes (living organisms so small we cannot see them without magnification): in our cars, houses, offices, water pipes, and in every nook and cranny of our bodies. Most are harmless, but some can make us sick or cause other damage. Some even play a role in protecting us and our creations from the depredations of others. Most of these microbes are still unknown and uncharacterized. Over the last 20-30 years scientists have made revolutionary progress in understanding microbes in so-called “natural” systems. We have studied microbes in oceans, soil, and hotsprings, as well as those that live on and inside plants and animals. Little attention however has been paid to the microbes that live in the “unnatural” indoor world around us: in our buildings, planes, trains, and cars, where most of us spend more than 90 percent of our lives. These are the microbes of the “built environment”. Thanks to continuing advances in DNA sequencing technology, and a recent initiative by the Alfred P. Sloan Foundation, this gap in knowledge is beginning to be addressed. The effort to better understand the built environment has implications for engineering and architecture, biodefense and forensics, and has even produced the concept of probiotics for buildings. Sustainable buildings are more than an assortment of "green building" features. Building design and actual performance must be compared to benchmarks or targets for a truly sustainable environment in terms of resource consumption and pollution emission. View the slideshow here. California's Greenhouse Gas (GHG) tool for California is now available on the web -GHG Tool for Buildings in California. The tool is publicly available and free for download. The idea that plants clean indoor air is a sad, continuing saga fed by bad science, commercial interests, and wishful thinking. I published an article in the Indoor Air Bulletin on the subject in 1992 (available on this web site) that provides some details. Access the Sustainablity Resources... Free! Sign up now to receive our eUpdate for the latest on BuildingEcology.com. Continuing the outstanding reporting and insightful feature articles established by Hal Levin as editor of two highly-acclaimed newsletters. The eUpdate brings the latest news, latest articles, and events. It's free!! Download Hal Levin's papers and presentations. For more than 40 years we have helped hundreds of organizations on 5 continents create environmentally-responsible, healthy buildings. We focus on "Building Ecology" -- the relationships and connections between buildings, occupants, and the larger environment -- emphasizing indoor environmental quality and sustainability.